Because methane gas dissipates relatively quickly -- within around 12 years on Earth -- and due to the difficulty of observing Mars' atmosphere, many scientists questioned previous studies that relied on a single data set. Now an international team of experts have compared observations from two separate spacecraft, taken just one day apart in 2013, to find independent proof of methane on our neighbouring planet. "This is very exciting and largely unexpected," Marco Giuranna, from Rome's National Astrophysics Institute, told AFP. Europe's Mars Express probe measured 15.5 parts per billion in the atmosphere above the Gale Crater on June 16, 2013. The presence of methane in the vicinity was confirmed by readings taken 24 hours earlier by NASA's Curiosity rover. Using the data, Giuranna and the team divided the region around the crater into grids of 250 by 250 square kilometres. One study then ran a million computer-modelled emissions scenarios for each section while another team studied images of the planet surface for features associated on Earth with the release of methane. 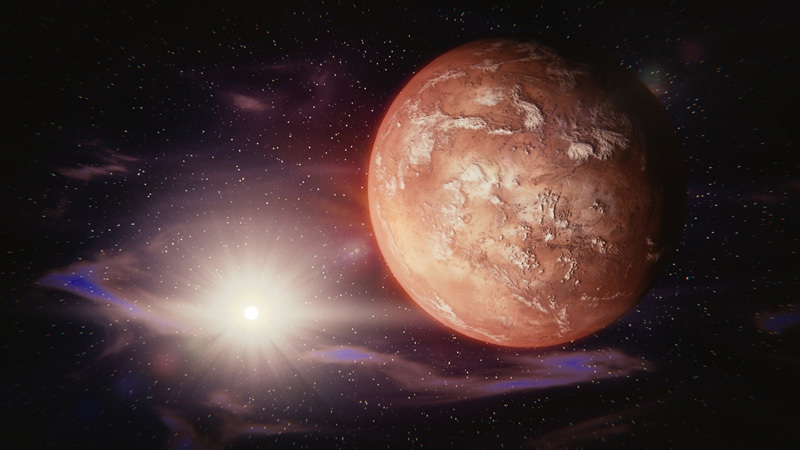 Giuranna said that while methane is a sign of life on Earth, its presence on Mars doesn't necessarily constitute evidence of something similar on the Red Planet. "Methane is important because it could be an indicator of microbial life," he said. "But life is not required to explain these detections because methane can be produced by abiotic processes." If founded to be extensive, the methane it contains "could support a sustained human presence" on Mars as a possible source of fuel for industrial processes and a propellant for returning manned missions to Earth, he said.